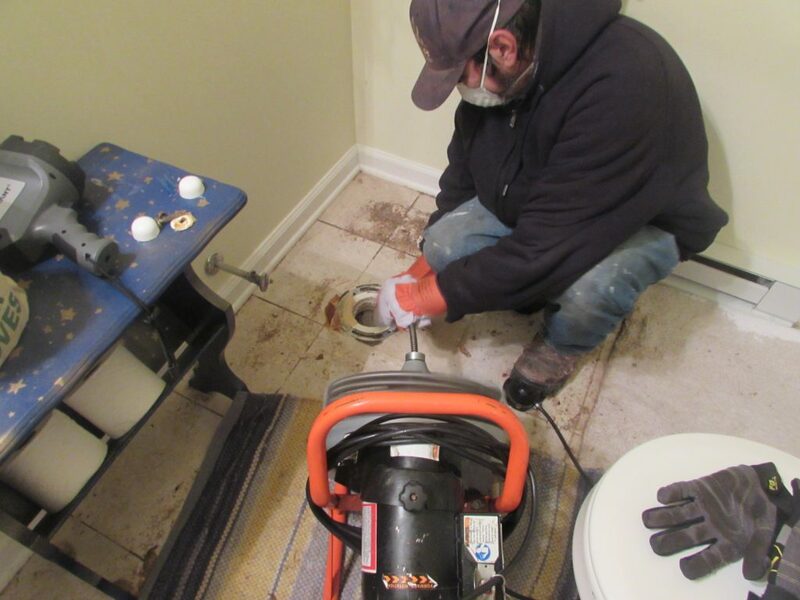 These tenants had the most unpleasant of Christmas surprises, as their bathroom toilet overflowed in the man cave. The sewage water cascaded out of the toilet bowl and all over the bathroom floor. Unable to be contained by the door, the water seeped out from underneath to work its way through the man cave. Between the smell and the extent of the damage, the home owners had quite the situation on their hand. They contacted Cityline for help. Cityline Construction was hired for emergency services. We brought in our restoration team to evaluate the damage and to get started right away. When we arrived on site we examined the extent of the damage and found it to be localized in the cave, thankfully. Our team went to work on the toilet right away. To properly resolve the issue, the toilet needed to be removed in order to allow proper access to the pipes. With our toilet wand we worked to unclog the piping to the septic tank. While the toilet was being worked on we addressed the backflow into the rest of the cave. We gathered all the personal property that was on the floor and went to work restoring and decontaminating these. Not only was it vital to remove the moisture, but the smell as well. With these items out of the way, the recovery treatment of the walls commenced. Using our mitigation techniques, we stopped the water from damaging the wall more than it already had. For a proper one-two combo we applied our anti-microbial spray killing off any chance of mold growth. 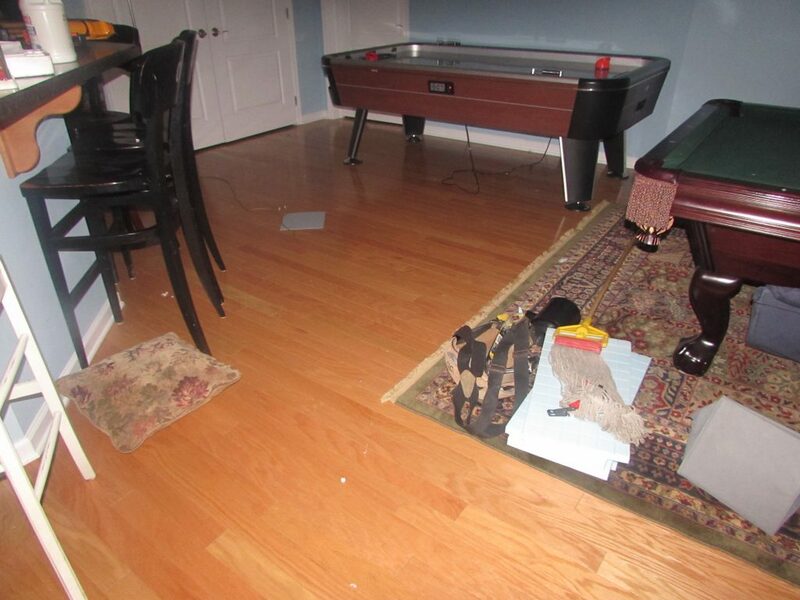 The flooring required special attention as is was damaged the most by the septic water. Using our equipment we worked to decontaminate the floor boards. The team exfoliated the moisture that was present and removed it from the cave. After we removed the moisture from the floor we recoated and resealed the wood. With our air filters and dehumidifiers, we cleaned the toxins and the smell from the air to give the basement a more pleasant smell. With everything much cleaner than it was before we reset the man cave to the way it was; making sure all the personal property was reset perfectly. 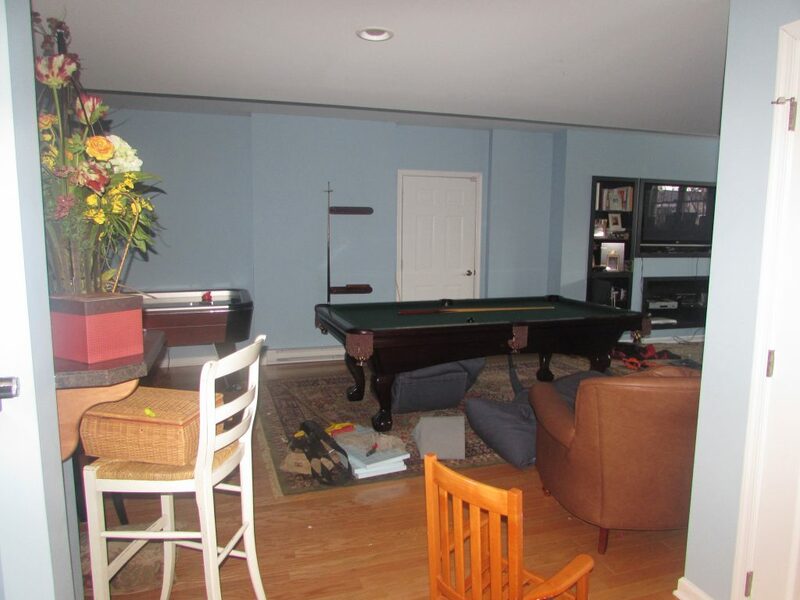 With the basement clean again you won’t hear any time soon a child saying that the place “stinks”.